Allows you to automatically subscribe to all new threads and replies without having to manually subscribe to all forums and threads. IMPORTANT: PLEASE DO NOT USE THE REVIEWS SECTION FOR SUPPORT OR TO REPORT BUGS. THERE IS NO GUARANTEE I WILL SEE IT, AND I CANNOT REPLY THERE, SO I CANNOT DO ANYTHING TO ACTUALLY HELP YOU. TO GET SUPPORT, MAKE A SUGGESTION OR REPORT A BUG, USE THE FOLLOWING LINKS. Description: Allows you to automatically subscribe to all new threads and replies without having to manually subscribe to all forums and threads. 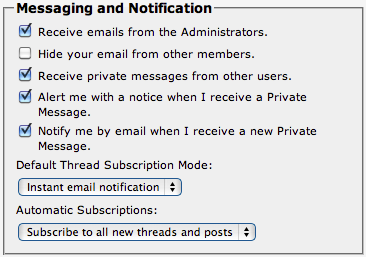 This plugin enables you to get email notifications for all new threads without having to manually subscribe to every forum, and to get email notifications for all new posts without having to manually subscribe to every thread. 09/05/09 - v0.1 -> Initial 'beta' release. 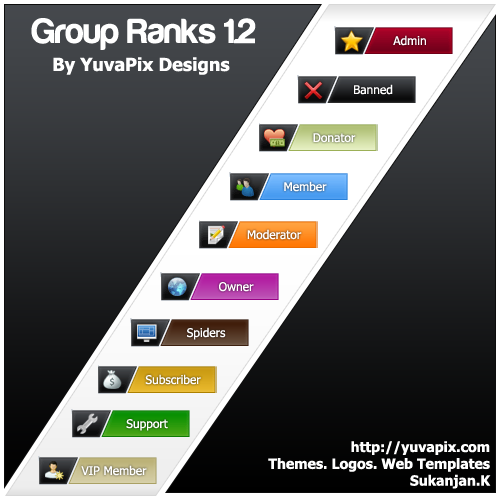 03/12/11 - v0.1 -> v1.0 -> Added ability to subscribe to threads/posts in subscribed forums only. Made compatible with MyBB 1.6.5. To upgrade, deactivate plugin, reupload ./inc/plugins/automaticsubscriptions.php and ./inc/languages/english/automaticsubscriptions.php, reactivate. Make sure to re-do manual template edit explained above. 24/08/14 - v1.1 -> v.1.2 -> MyBB 1.8 compatible. Fixed issue with loading language file in the Admin CP. To upgrade, reupload ./inc/plugins/automaticsubscriptions.php, and upload ./inc/languages/english/admin/user_automaticsubscriptions.php to ./inc/languages/english/admin/. Adds a task to your board that deletes thread/forum subscriptions from inactive threads/forums. Moderate your forum automatically whilst you&apos;re offline.